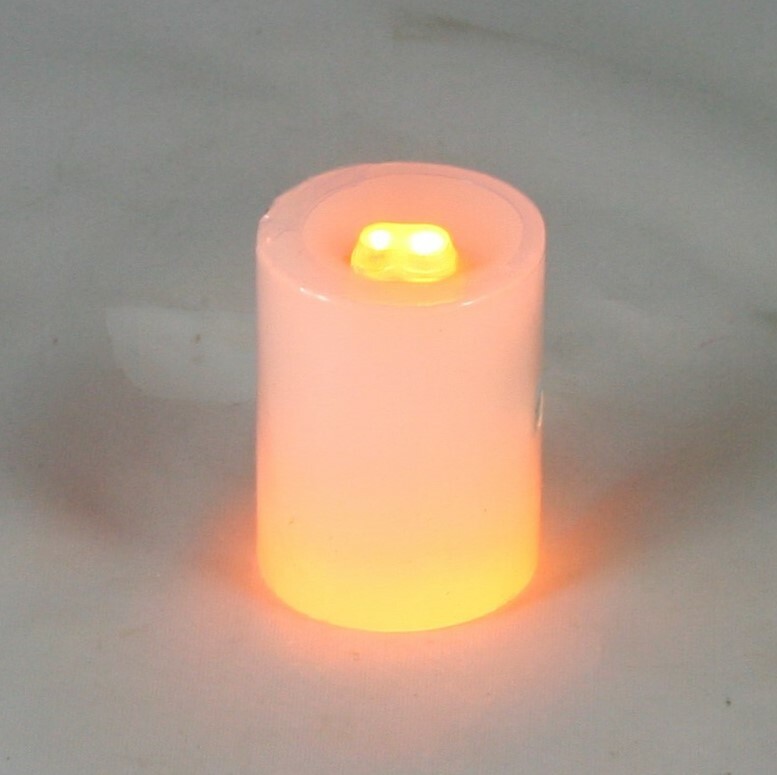 A flameless, flickering LED votive insert. 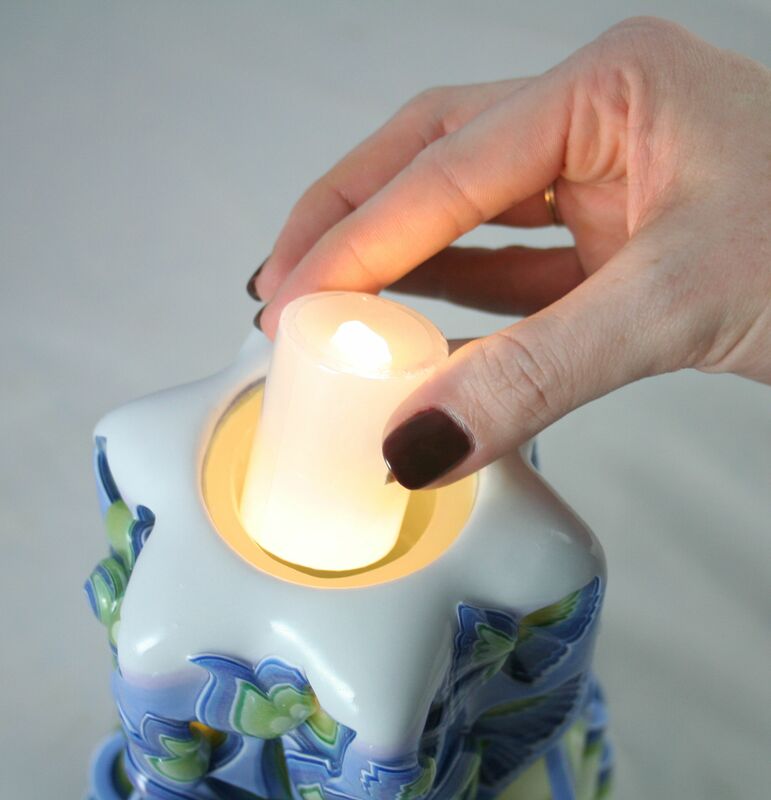 All the glowing beauty, none of the hassle of actually burning your candle!! A Holland House Candles® exclusive… Click image to expand. After hearing “These candles are too pretty to burn!” countless times over the years, we are finally able to offer a solution to our customers who just can’t bring themselves to put a match to our candles. 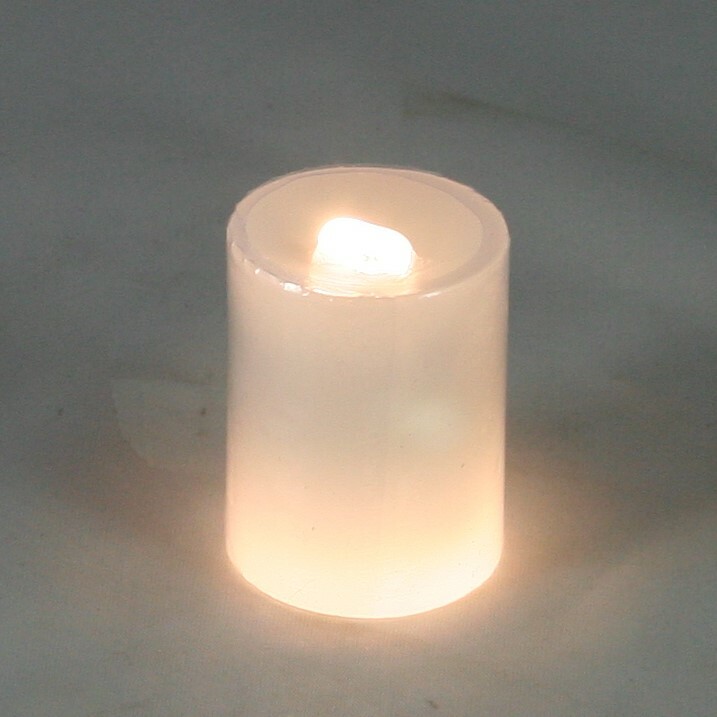 We have worked together with a manufacturer and developed a flameless, flickering LED insert that allows the glowing enjoyment of our candles without the actual flame. You may have seen LED votives elsewhere, but what makes ours unique is the dual head, which allows the light to transmit from the top AND the bottom allowing for the full radiant beauty of our candles! 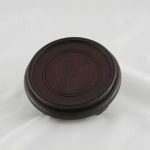 These inserts are rechargeable, (you never have to replace the batteries!) and emit light for 6-8 hours between charges. (The time varies because of their realistic “flickering” feature.) They offer safety and convenience as an option to actually burning our candles. 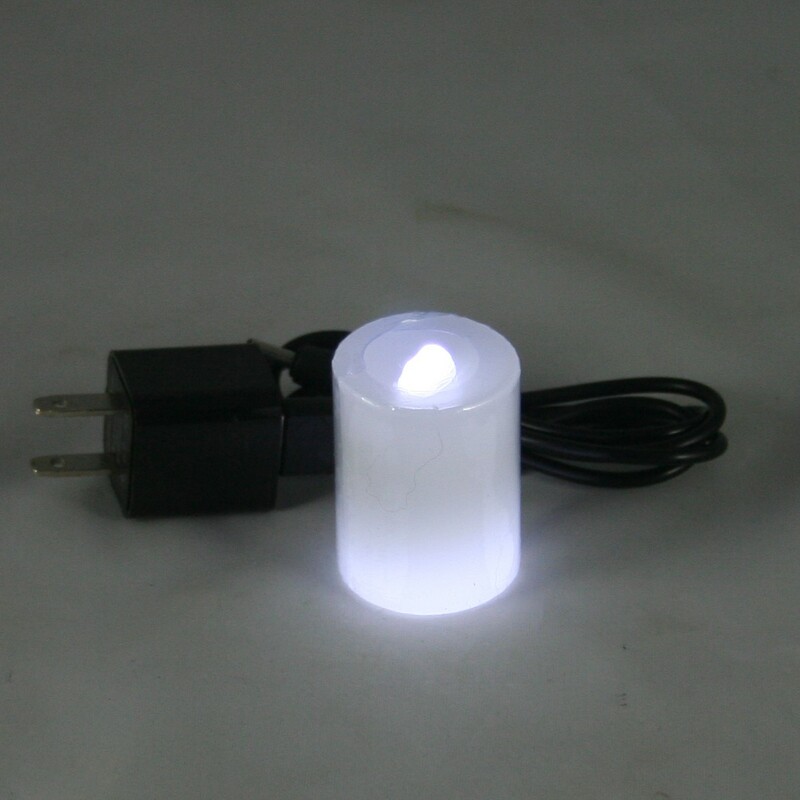 The kit includes the LED votive insert and the charger unit, and sells for $15.00. 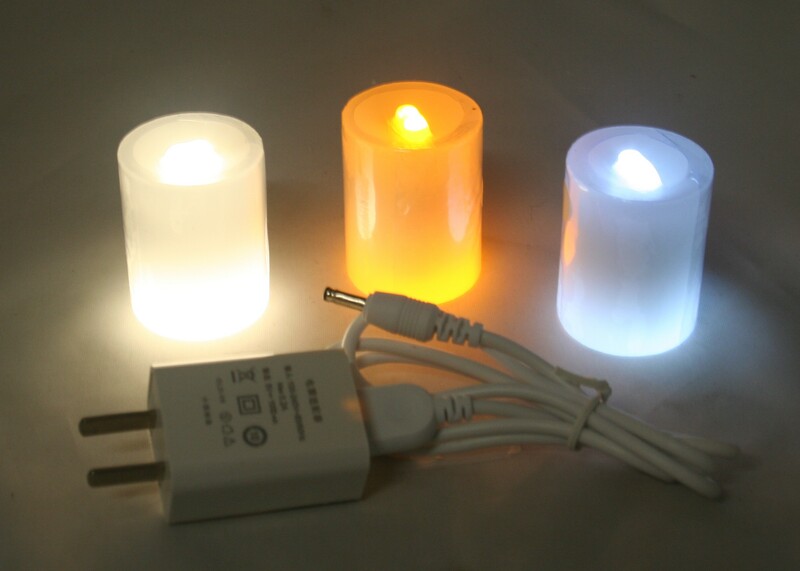 While only one charger is needed per household, some of our customers want multiple LED’s so we offer additional LED inserts for $10.00 each. Each LED has a gravity switch, upright is “on”, simply turn it over for “off”. LED Charging cord may be either black, as shown in photo, or white. 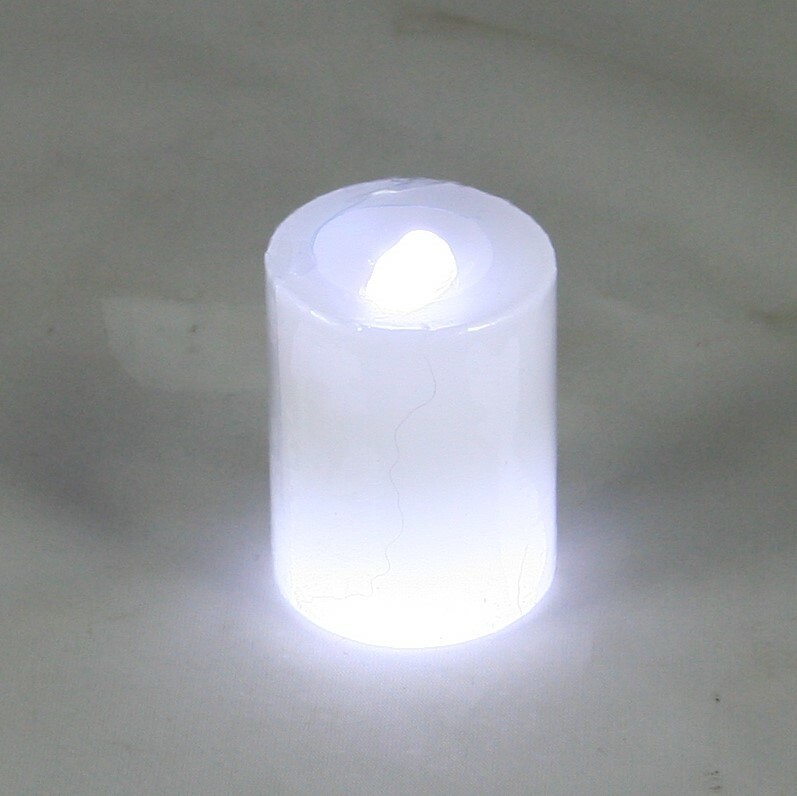 We are offering our LEDs in three colors: Warm White, Cool White and Orange. 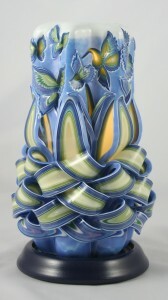 The Warm White has an ivory glow, and is the more natural of the three colors. It is the right choice for most of our candles. 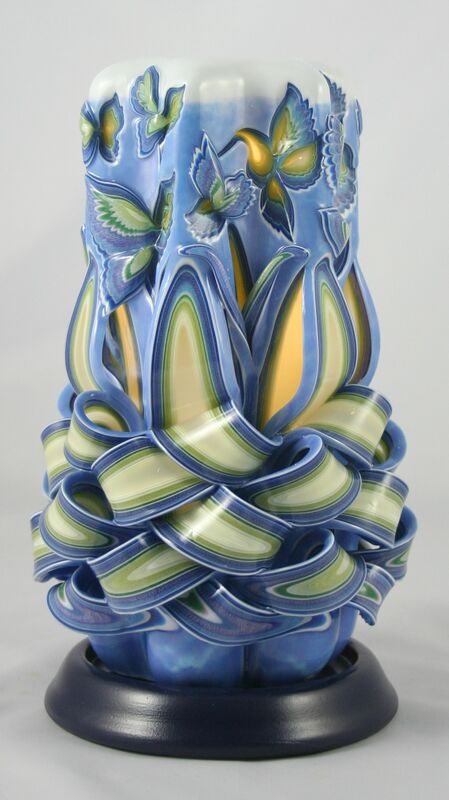 If you are purchasing a candle with blue or purple color nearest to the core, and you would like to enhance the blue or purple, the Cool White would be a good choice, as it has a slightly blue glow. For example, candle colors that are enhanced by the Cool White LED are Purple Haze, Grapevine, Peacock and Iced Mocha. Some of our candles with aqua near the core, like Driftwood, can use either color LED because the warm white/ivory color will accentuate the green in the aqua, and the cool white/blue will accentuate the blue. 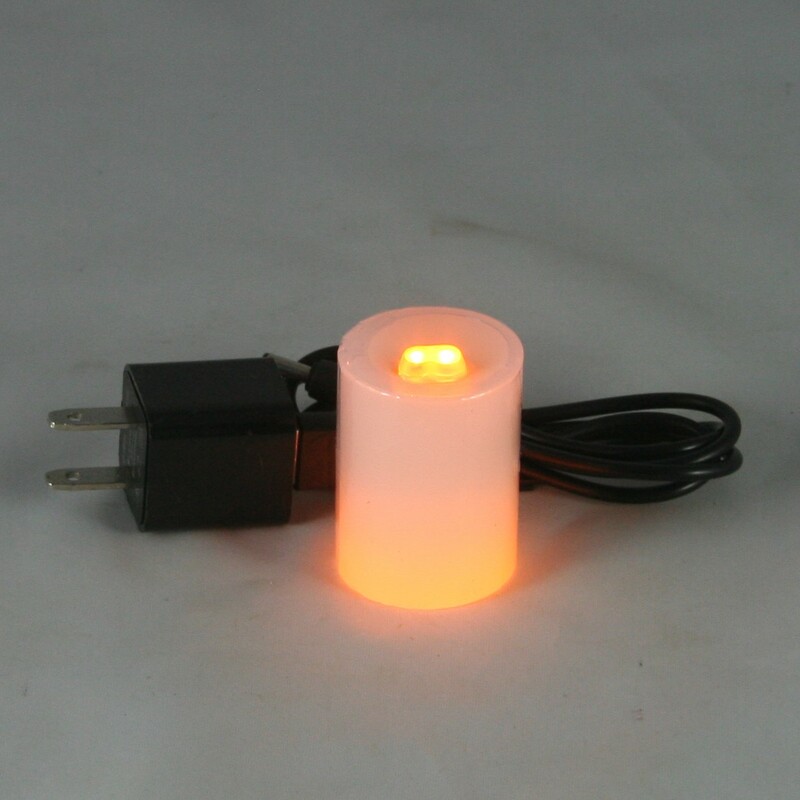 The Orange LED is the perfect color for our Halloween Candle, or any candle with the color orange closest to the core. If you can’t decide, get the LED kit in one color, and an extra LED in another! 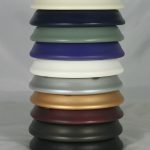 Or simply select the “Choose Best” option and we will pick the best color for your candle (in our opinion). 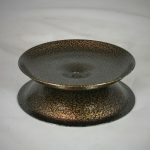 For our customers who really don’t want any part of lighting their new candle, for an additional $5.00 we are now offering the service of pre-drilling the well for you so that when you get the candle, it is all ready for a votive insert. 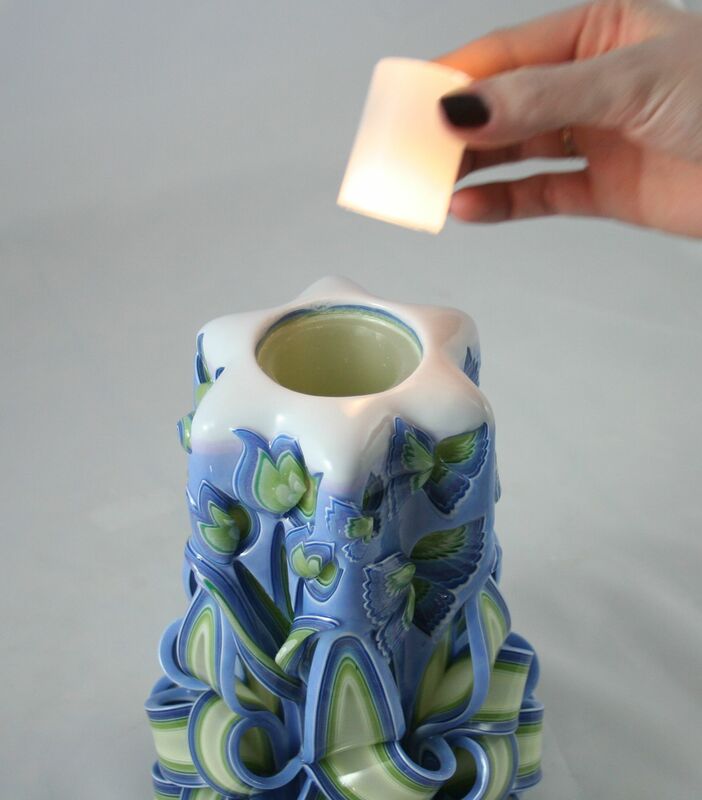 If you select the “Pre-Drill Well” option, we will drill a well approximately 2 inches deep into the top of your candle to accommodate a regular votive candle or an LED votive insert, allowing you to skip the process of burning the well out yourself. *Once a candle has a pre-drilled well, the wick is gone and the actual candle cannot be lit. 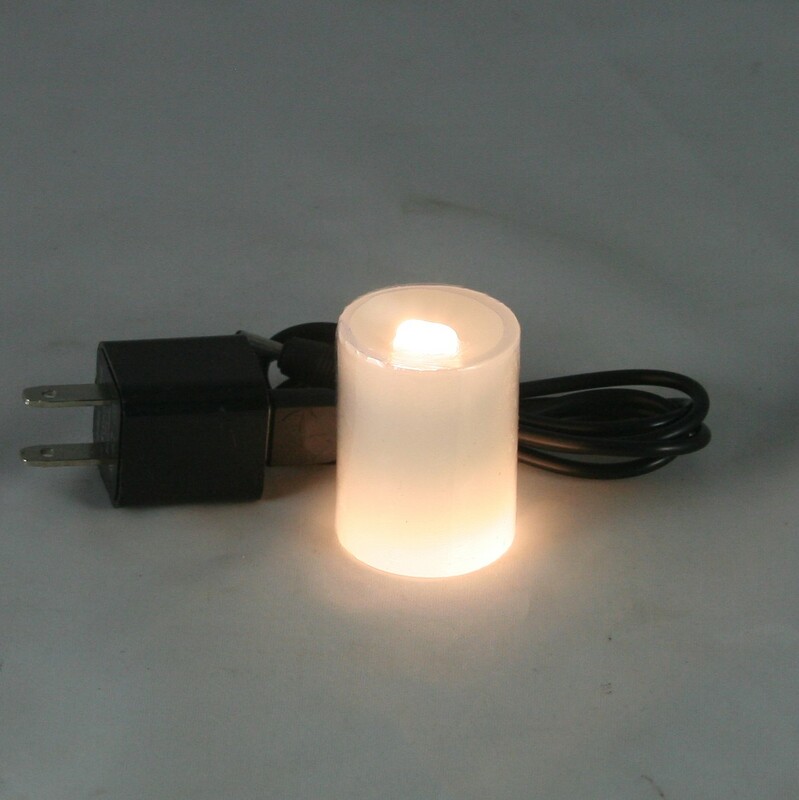 Inserting Warm White LED into candle. Candle with Pre-Drilled Well ready for an LED. These votives are great. 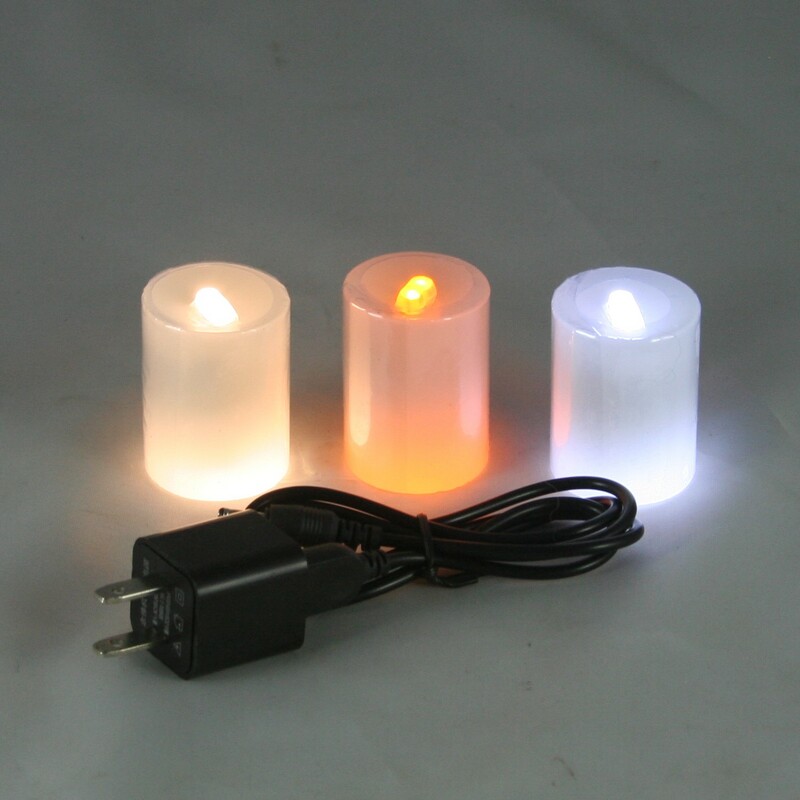 They are bright enough to light up the internal detail and color of the candle. The flicker is realistic and very pleasant. I came back and ordered a second so I could use one while charging the other.